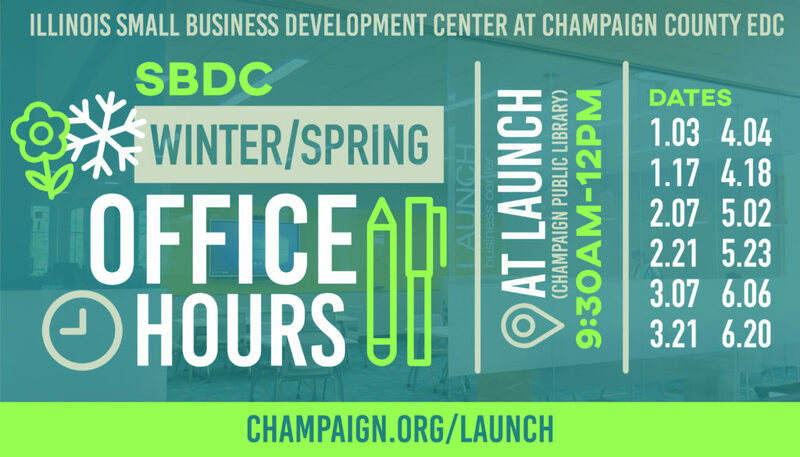 SBDC Director Don Elmore will hold open office hours at Launch (at Champaign Public Library) this winter / spring. Hours are 9:30 AM – 12 PM. LAUNCH AT THE LIBRARY business services include a walk-in coworking space, seminars, meeting rooms, and resources to help start, manage, and grow your business. Visit champaign.org/launch for more information.